Livy (Titus Livius), the great Roman historian, was born at Patavium (Padua) in 64 or 59 BC where after years in Rome he died in AD 12 or 17. 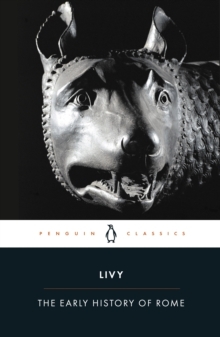 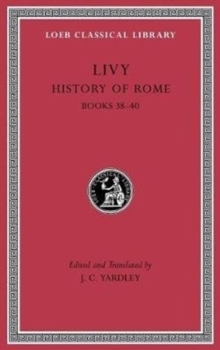 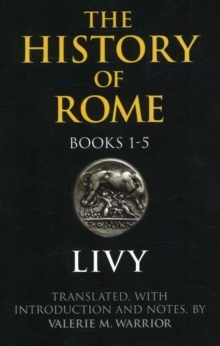 Livy's history, composed as the imperial autocracy of Augustus was replacing the republican system that had stood for over 500 years, presents in splendid style a vivid narrative of Rome's rise from the traditional foundation of the city in 753 or 751 BC to 9 BC and illustrates the collective and individual virtues necessary to achieve and maintain such greatness. Of its 142 books, conventionally divided into pentads and decads, we have 1-10 and 21-45 complete, and short summaries (periochae) of all the rest except 41 and 43-45; 11-20 are lost, and of the rest only fragments and the summaries remain. The fourth decad comprises two recognizable pentads: Books 31-35 narrate the Second Macedonian War (200-196) and its aftermath, and Books 36-40 cover the years from 191 to 180, when Rome crushed and shrank Antiochus' empire to extend and consolidate its mastery over the Hellenistic states. 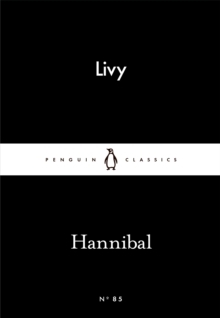 This edition replaces the original Loeb edition by Evan T.